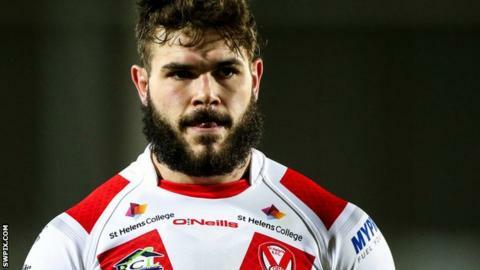 St Helens prop Alex Walmsley has rejected offers from the National Rugby League to sign a three-and-a-half-year deal with the Super League champions. The 25-year-old joined from Batley in 2012 and before that had been playing at amateur side Dewsbury Celtic. Walmsley helped Saints to a League Leaders' Shield and Grand Final double last year and has featured in every game so far in 2015. "I had offers from the NRL which I naturally had to think about," he said. "There is obviously a pull there as it is a prestigious league. But credit to Keiron Cunningham, he made it clear he wanted to keep me and in the end that was the deciding factor. "I have fallen in love with the town since I moved down here and the fans have been great with me."